Whilst we are expecting to see a new Apple TV at Apple’s iPad event today, we are not expecting Apple to announce their new Apple HDTV. Now according to a recent report, Apple will launch their new Apple TV next year, the device will be available in two sizes, one with a 55 inch display and one with a 65 inch display, both will apparently come with a 4k resolution. The news comes from Advanced Research Japan Co. who have apparently received information from suppliers relating to the displays that will be used in these new Apple TVs. 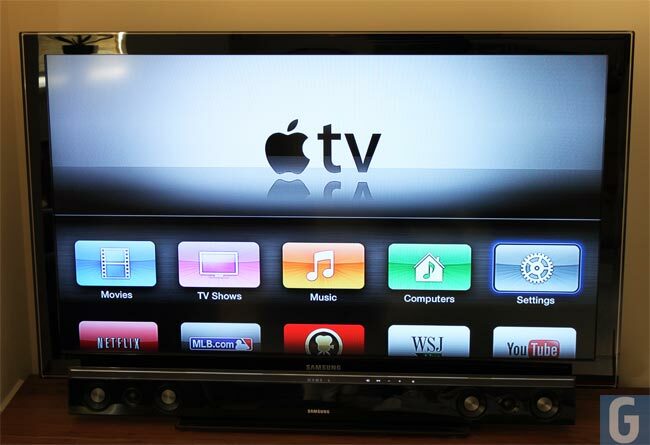 The new Apple TV is expected to be released some time in the fourth quarter of 2013, of course this is all just speculation at the moment. We are not expecting Apple to announce anything about their new Apple HDTVs at today’s event, instead there may be a new Apple TV set top box. What will be on the agenda at the event today is the new iPad 5 and iPad Mini 2, plus Apple’s new MacBook Pro range, plus details on the release date of OS X Mavericks and the new Mac Pro.